The term financial management is a part of accounting that deals with the management of finances of a business organisation, so as to meet the financial objectives. It is not exactly same as treasury management, which is all about the management of cash and funds of the firm. The main difference between treasury management and financial management lies in their level of activity. The financial management focuses on the long-term and strategic investments, but when it comes to treasury management, the focus is on short-term and day to day monitoring of the investments. Simply put, treasury management is a part of financial management. To know more differences amidst the two, check out the article given below. Meaning Treasury Management is a part of financial management, which is concerned with the management of firm's cash and funds. Financial Management refers to the managerial activity, that stresses on the management of firm's financial resources, to achieve the overall aim of the enterprise. Plan Implementation of financial plan. Formulates, coordinate and administers financial plan, for controlling operations. Focus on Periodic examination of income and expense budgets. Preparation and presentation of financial statements. 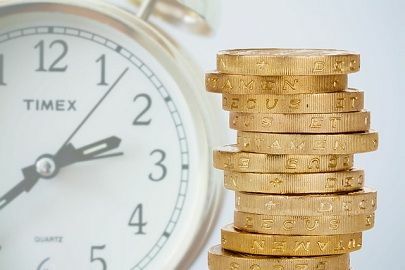 Treasury management implies the planning, scheduling and controlling of the organisation’s cash and borrowings in order to optimise the interest and currency flow is known as treasury management. Simply put, it refers to the administration of all financial matters such as raising funds from various sources, handling currencies and cash flows and the strategies of corporate finance. Treasury Management intends to make available the funds needed by the company at right time and quantity. Further, it ensures that funds do not remain unutilised for the long term. It encompasses cash management, financial risk management and corporate finance. Its primary function is to ensure that the entity possesses ample liquidity, to fulfil obligations. Financial Management, as the name suggests, is the planning and mobilisation the finance of the company, so as to meet out financial objectives, i.e. the maximisation of the wealth by increasing the value of the firm. In finer terms, financial management is the management of monetary affairs of the enterprise. It aims at making the best possible use of firm’s financial resources. Taking part in the mobilisation of funds, within the business and control its productivity. Identifying the actual requirement of funds and picking up the sources from which they can be acquired. A part of financial management, which is concerned with the planning and controlling of firm’s cash and funds, is known as treasury management. The managerial activity that deals with the management of firm’s financial resources, to achieve the overall aim of the enterprise, is known as financial management. While financial management is concerned with the formulation, coordination and administration of the financial plan, treasury management is all about execution of the same. The main objective of financial management is that is regular monitoring of income and expense budgets. On the contrary, treasury management focuses on preparation and presentation of financial statements. Financial Management is all about the establishment of firm’s overall financial strategy, which is long-term in nature. As against, treasury management talks about the mechanism to be used for accounting and development system, which is short term. 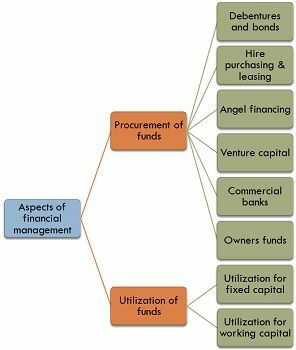 The treasury management function of the enterprise work at the micro level, i.e. it is concerned with the availability and effective deployment of the funds on a regular basis, to make sure that the company’s operations are undertaken smoothly. On the other hand, financial management deals with high-level finance function, which ensures that firm is capable of fulfilling the objective of value maximisation, to meet out the expectations of the shareholders. Moreover, it takes into account the overall profitability and solvency of the business.